If you've made a mistake typing, just shake your iPhone side to side to erase and start over. 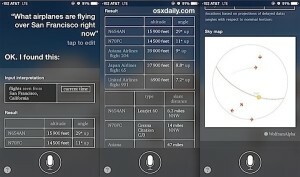 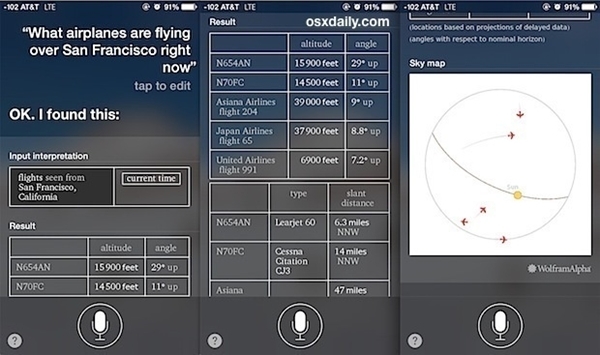 Ask Siri “Planes overhead?” to get detailed info about any planes in the sky above you. 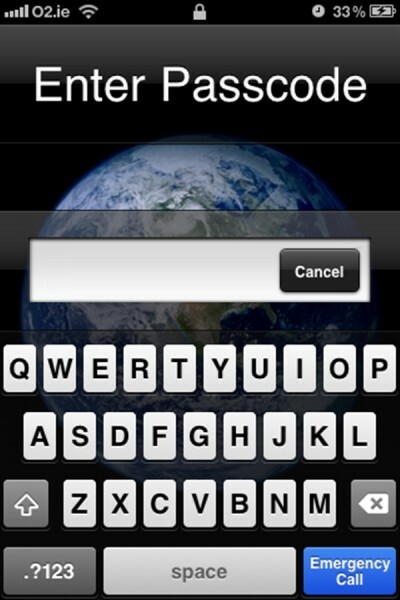 If you want a more secure password for your phone than the default four digit pin, go to Settings>General>Pass code Lock and select Turn Off Simple Pass code. You’ll then be asked to enter a new password. 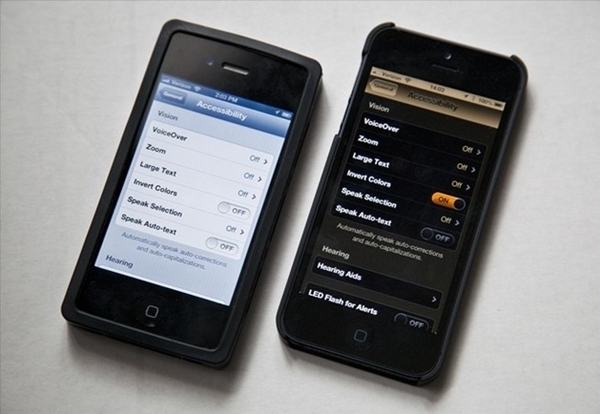 Go to Settings>General>Accessibility and select Turn on Invert Colors to lessen eye strain or to avoid waking people up with your bright phone screen at night. 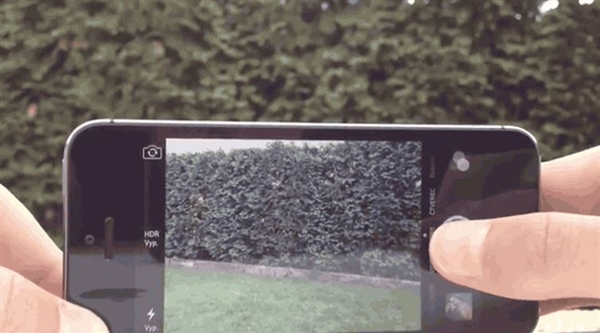 Press and hold the shutter button on your camera to take multiple photos in quick succession. 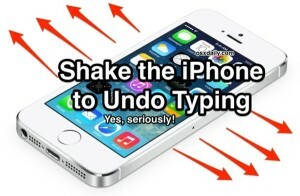 This is ideal for getting action shots. 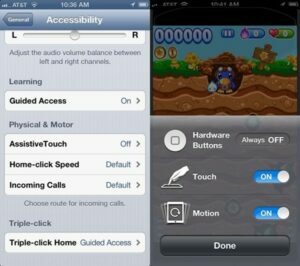 Guided access is great for when kids want to use your phone, as it restricts certain actions, such as making in-app purchases. 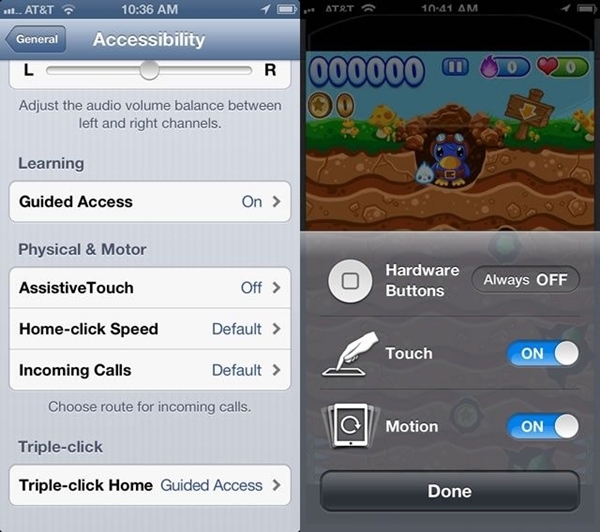 Go to Settings>General>Accessibility and select Turn On Guided Access. When using the camera app, you can take snaps using the volume buttons.